Welcome to Crouse Art Gallery. For the discerning art lover Crouse Art facilitates an entirely new experience in the acquisition of fine works of art. Should you wish to view selected pieces in the comfort of your home, or in your office; Crouse Art will arrange that you are visited by an experienced art dealer, who will expedite the viewing and/or purchase of said pieces. This unique service is available throughout South Africa. We at Crouse Art deal exclusively in original South African Art, specifically in investment art. We offer works by variety of renowned artist like Anton Benzon, Diane Erasmus, Christiaan Nice, Este Mostert and many more. As we deal solely in exclusive works, we also undertake at any time to exchange any painting originally bought from us. All paintings brought through us are accompanied by a certificate of authenticity as proof of its value. We will assist you in every possible way with your purchase. We offer various payment arrangements, and will gladly give you our professional advice in South Africa and abroad. Pablo Picasso reckoned that artists are indestructible and even if he was in a prison, or in a concentration camp, he would be almighty in his own world of art, even if he had to paint his pictures with his wet tongue on the dusty floor of his cell. At Crouse Art all artist were handpicked and tell this story of determination and true artmanship. Leonardo Da Vinci once said that Painting is poetry that is seen rather than felt. This is why even long after an artist has laid down his brush for eternity he can still enhance our lives with the presence of his art. 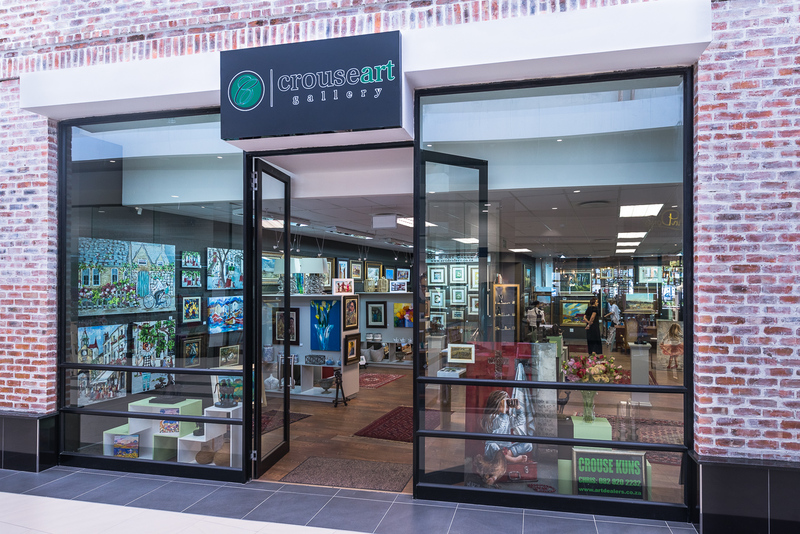 Crouse Art features some of the most well known South African Sculptures. Elizabeth Broun said that art is not always about pretty things. It is about who we are, what happened to us, and how our lives are affected.